Academic libraries are consistently changing and successfully managing those changes is what keeps libraries and librarians relevant. OBS-SIS has provided mentors, other experts and programs that contribute to the relevance and success that I currently enjoy in the profession. So, I once again welcome the opportunity to give back my talent, time, wisdom, and expertise to the continuation of that outstanding service. Having accepted the nomination for Vice-Chair for OBS-SIS the second time around is obvious that I have a willingness to serve my colleagues. It is very humbling to know that the OBS-SIS Nominating Committee has such confidence in me. My duties of integrating electronic resources and digital texts into the Library’s collection, and improve access to materials available, will enable me to make a significant contribution to the continuous efforts of OBS-SIS to address the ever changing issues and concerns of its members. My commitment to OBS-SIS’ mission to provide leadership, education, and networking opportunities will be the focus of my service to OBS-SIS. I understand that to achieve success much work is required from all involved. Therefore, I look forward to the support of my colleagues, working together to achieve real value for our involvement. While I pledge to devote my time, knowledge, and expertise toward this end, I also look forward to benefiting from the professional interaction that is anticipated. It certainly will be an honor to serve as an officer for the OBS-SIS. It is an honor to be considered for the position of Vice-Chair/Chair Elect of the OBS-SIS Executive Board. When I first began my professional career, my title of Systems Librarian meant that I was responsible for administering and troubleshooting our LMS, website, and internal bibliographic software, among other systems and programs. After taking on the roles of manager of the student-edited Journals and co-coordinator of our Institutional Repository, my title was changed to Scholarly Publishing Librarian to more accurately reflect the majority of my responsibilities. Having been in the profession only a few years, I look forward to learning as much as I can from other members, while also bringing a fresh perspective and new ideas to the table. If elected, I will strive to ensure that members of OBS-SIS feel they are being well represented. 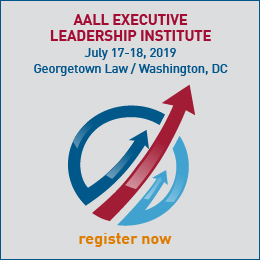 I will work diligently and collaboratively with the board and membership to promote the section to the rest of AALL, and work toward previously set goals and initiatives, while setting new goals for the betterment of the section and its membership. Secretary/Treasurer. I think of “service” as the most important part of our section’s name, and of the work we do for AALL and our home institutions, and I would enjoy the opportunity to provide the same high level of service to OBS as I do at Ohio State. Several years ago, after working in a variety of library settings, I found myself in a serials position in a law library—of all places!—and I really found a connection with the technical services, especially cataloging and working with our local system. 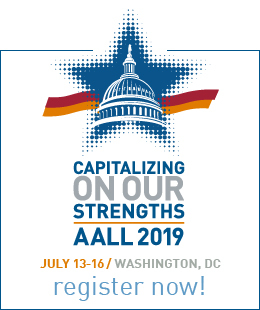 When I became a professional librarian here at Moritz, I had the opportunity to join AALL, and OBS has always been so welcoming, and a real part of my own professional development. I am inspired by the dedication and enthusiasm of the OBS leadership and members, and I look forward to working with you all. I am Systems Librarian, Collection Management Coordinator at UNH School of Law Library, a small academic law library. I am fortunate to be enjoying a long, satisfying career in law librarianship, in Systems and Technical Services. I embrace the challenges and enjoy the successes associated with the ongoing changes characteristic of this career. I have met and worked with many wonderful librarian colleagues in various capacities through professional activities. I’ve thoroughly enjoyed the opportunity over the past several months to work with motivating, energetic members of OBS-SIS’s Executive Boards (past and present) as Acting Secretary/Treasurer for the remainder of the 2013-14 term. I would welcome the opportunity to apply what I’ve learned already from this temporary term, as well as from similar prior experiences, to continue to serve members of OBS-SIS as Secretary/Treasurer for a full term. I am honored to be a candidate for the OBS-SIS Board. I began my journey with libraries at the ripe age of twelve-years-old when I spent a summer working at a small local library. I spent the next twenty-plus years working in a variety of positions within public libraries, eventually settling into a long-term role as a PC Computer Programmer where I supported our library system’s technology and ILS functions. By the time I obtained my MLIS degree in 2007, I knew that cataloging and bibliographic systems were where I wanted to devote my energy. Shortly after graduating, I moved into my first professional role as a Cataloging Librarian for a public library system in Georgia. In 2012, I discovered a new passion, and many new challenges, as I took a position with Emory University’s Law Library as the Assistant Law Librarian for Cataloging and Metadata. Today, our online bibliographic systems are going through rapid changes. Cataloging rules and standards are in flux, libraries and vendors attempt to make sense of FRBR and linked data, and everyone turns to Google for information. These are among the challenges our profession faces today. Within my role in various Emory University Libraries committees, I am able to help influence and shape the university’s online bibliographic systems and repositories. I do, however, feel that I have much knowledge and energy to contribute to the professional community beyond the boundaries of the Emory campus. If elected, I will make every effort to represent our organization to the best of my ability and work to positively influence the future of OBS-SIS. I am honored to be considered for election to the position of OBS-SIS Member-at-large. One of the things I appreciate in both OBS, and AALL in general, is the welcoming attitude of my professional colleagues and the opportunities to quickly become involved in the OBS-SIS at a substantive level. I am relatively new to law librarianship, coming from a background in government documents, cataloging, serials and electronic resources management at a small liberal arts college library. In my current position, I am responsible for management of the print serials collection and cataloging of materials in all formats. The Law Library Technical Services unit works closely with technical services in the main university library where we have the opportunity to work with other librarians who are some of the foremost thinkers in librarianship. Our work as law librarians is conducted in the context of continuing and accelerating change. The rules and tools we use to describe and facilitate discovery of our resources are evolving at a rapid rate. We’ve already, mostly, made the shift from AACR2 to RDA; a recent library technology forecast predicts that resource management systems will begin to make the transition from MARC to BIBFRAME in the next three to five years (http://www.infotoday.com/cilmag/dec14/Breeding–Library-Technology-Forecast-for-2015-and-Beyond.shtml). The OBS-SIS mission focuses on the exchange of ideas and information centering on online and local bibliographic services. If elected, I plan to focus on this mission by planning and facilitating programing to help keep our colleagues informed and up-to-date as we navigate the re-imagining of our bibliographic world.